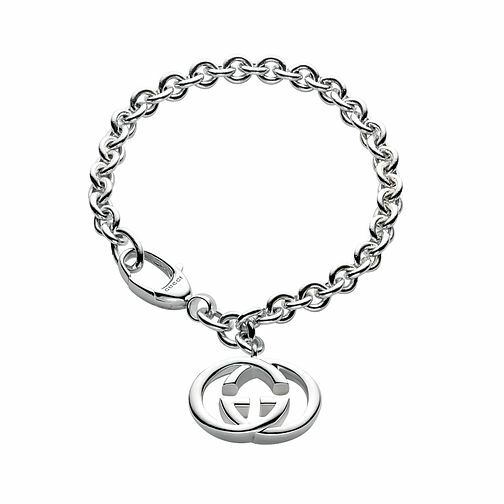 Bearing the iconic double G logo, this sterling silver chain link bracelet from world famous Italian fashion label Gucci is the ideal accoutrement for any occasion. Blending classic style with contemporary trends, this beautiful bracelet is ideal for the woman who prefers understated elegance. Gucci jewellery echoes the brands longstanding signature icons, from the Horsebit to the 'GG' mongrams. Gucci sterling silver double G bracelet is rated 5.0 out of 5 by 1. Rated 5 out of 5 by Anonymous from Lovely chunky bracelet Purchased this for my daughter's 21 st and she was delighted with it. The gift wrap was very pretty too.